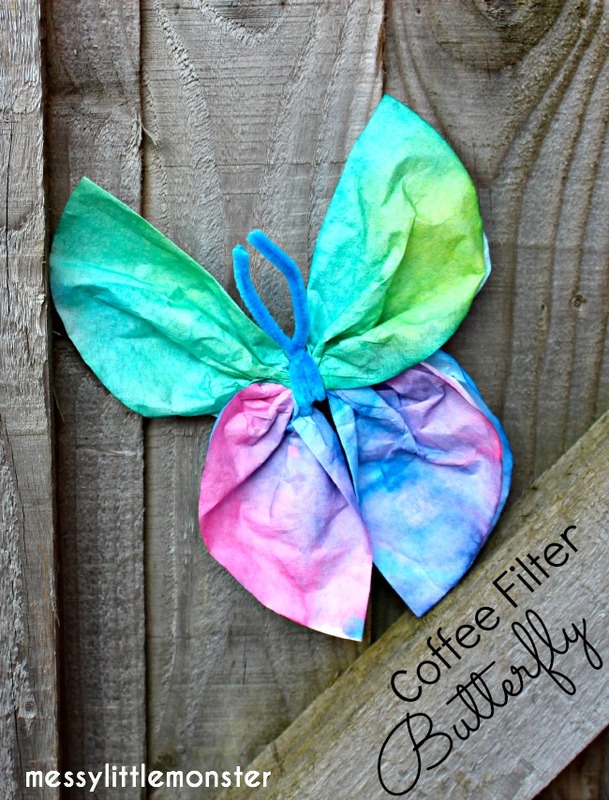 Make a butterfly using painted coffee filters! 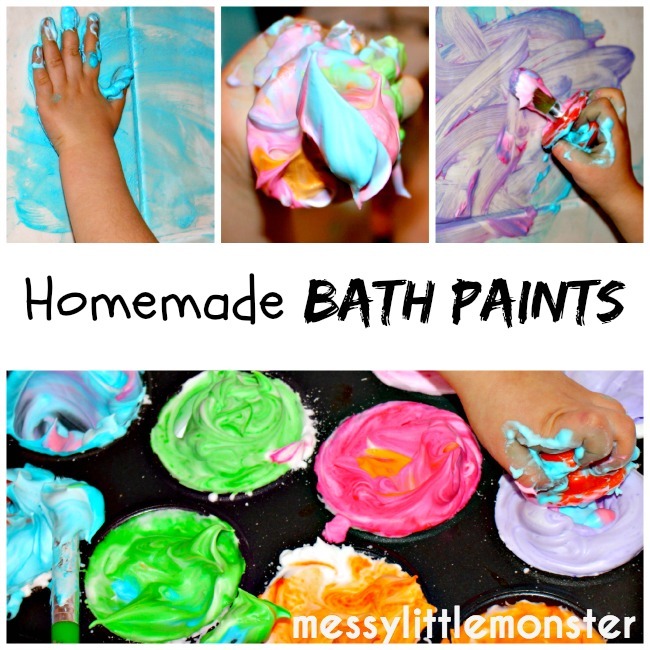 Kids will love this simple Spring or Summer craft. 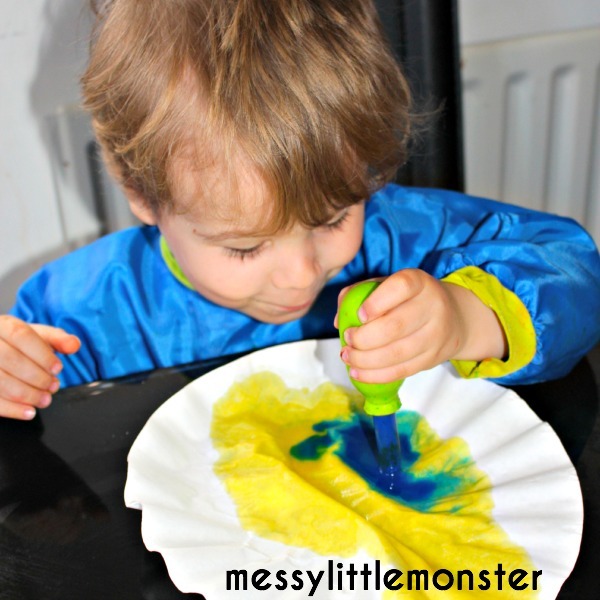 The art process used to colour the coffee filters is simple enough for toddlers and preschoolers and lots of fun. 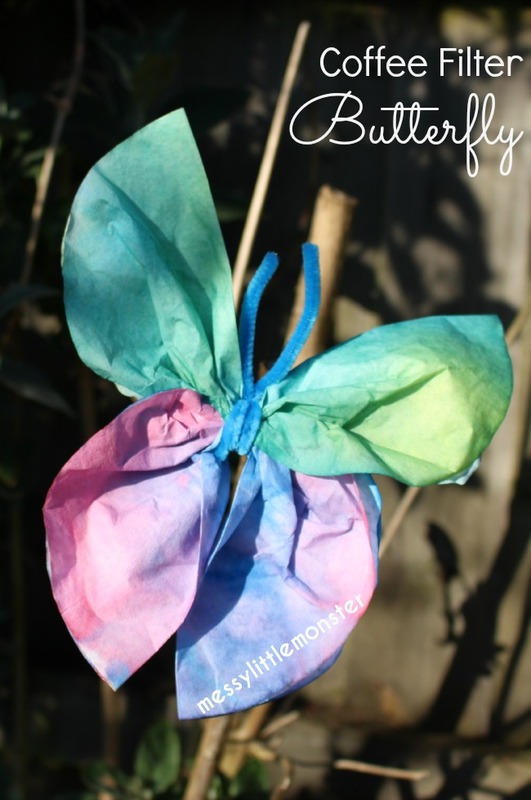 Follow a few simple instructions and turn the coloured filters into adorable butterflies. This part is really fun! 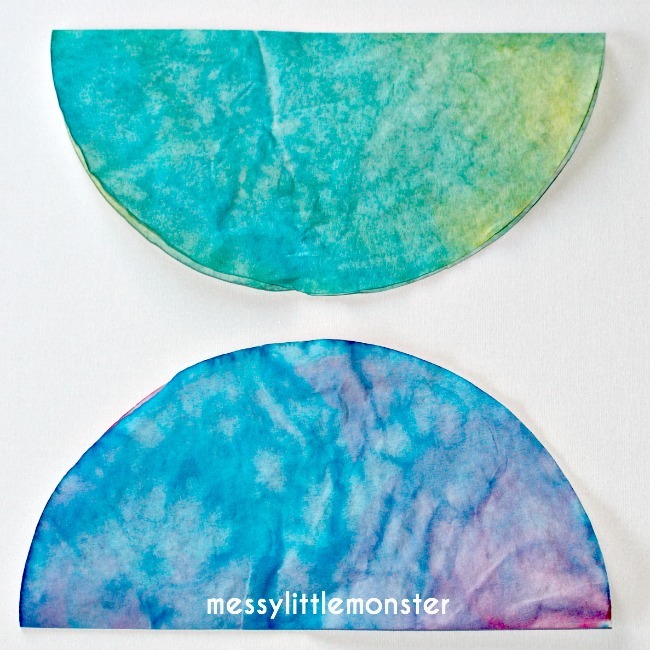 Use the eye droppers to drop paint onto the coffee filters and watch as the colour mix and blend together. Leave them to dry. 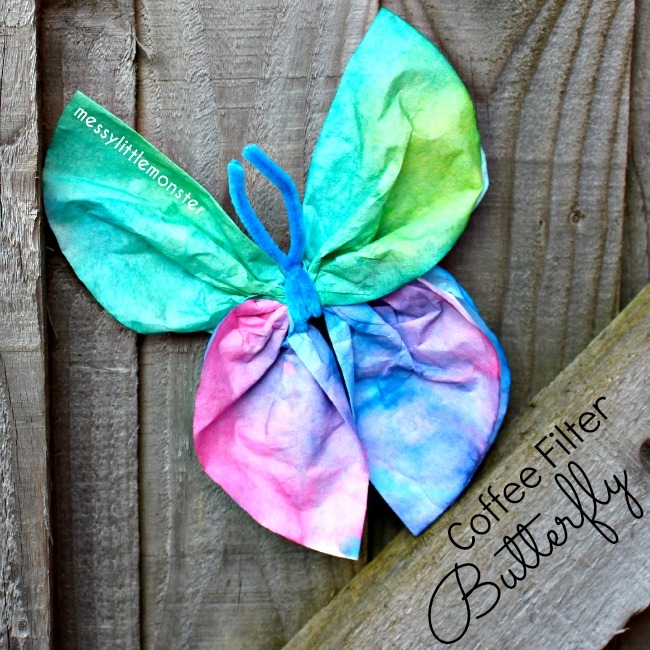 You will need 2 coloured coffee filters for each butterfly. Fold the coffee filters in half. Scrunch each coffee filter in the middle. 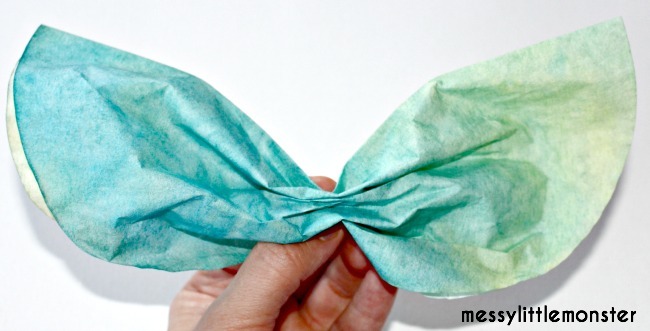 Twist a pipe cleaner around the two coffee filters to create a butterfly. 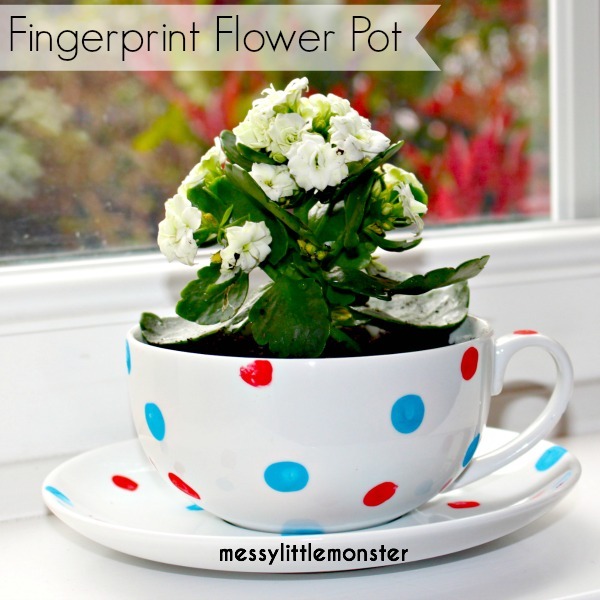 Leave a bit of pipe cleaner at the top to create its antennae. 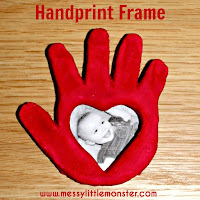 My Grandson and I are having a blast making these for his Mom and his other Gramma! 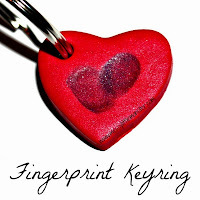 Thanx for the great ideas! 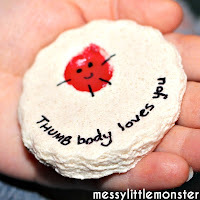 Last week we made Terrariums and home made cards! Early Mother's day gifts as I was not sure I would get to see my daughter and Grandson for Mother's day! 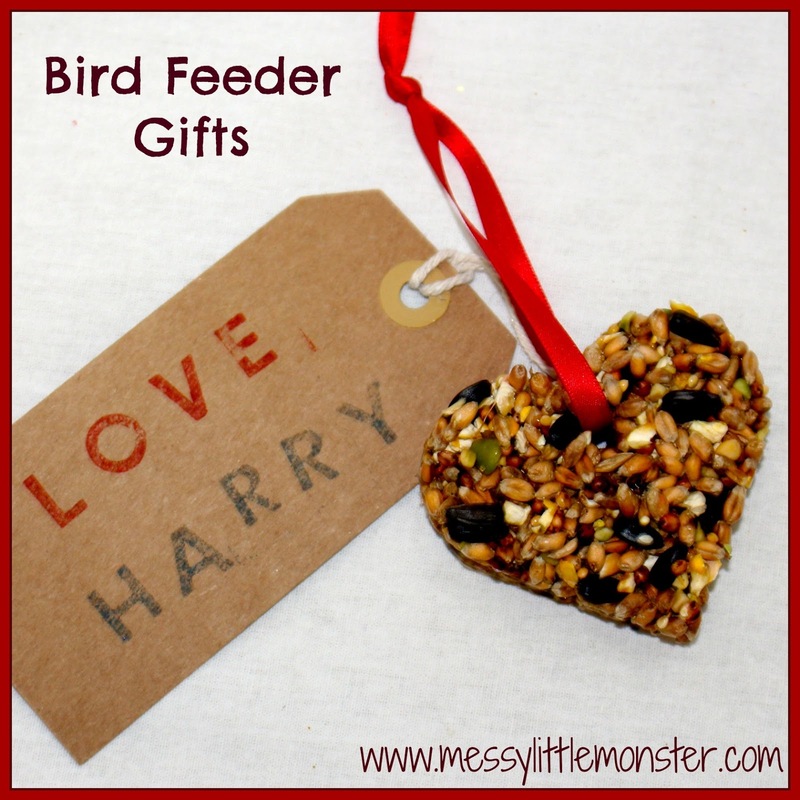 They turned out beautiful, she loved her terrarium, home made card and a tea bag and tea pot paper to hang on fridge, she had made one for me as a little girl which I still have and she loved it!